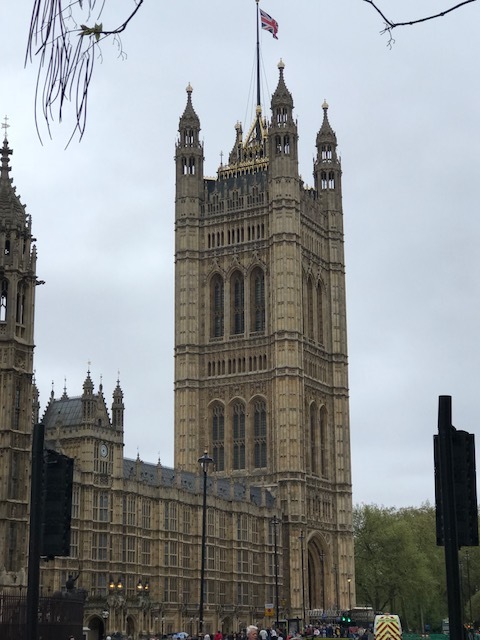 The second half of my trip was spent in London. It was amazing, of course! Even though I am definitely a country girl at heart, I always love visiting a big city. And London was amazing for its diversity. There was a unique juxtaposition between the old and the new, and I absolutely loved all of the different languages and cultures that were present. 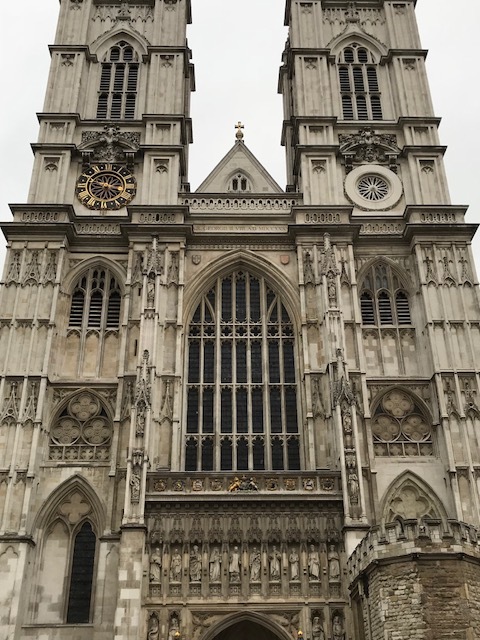 But of course, being the Anglophile that I am, I was most intrigued by the history - especially anything to do with the Royal Family. 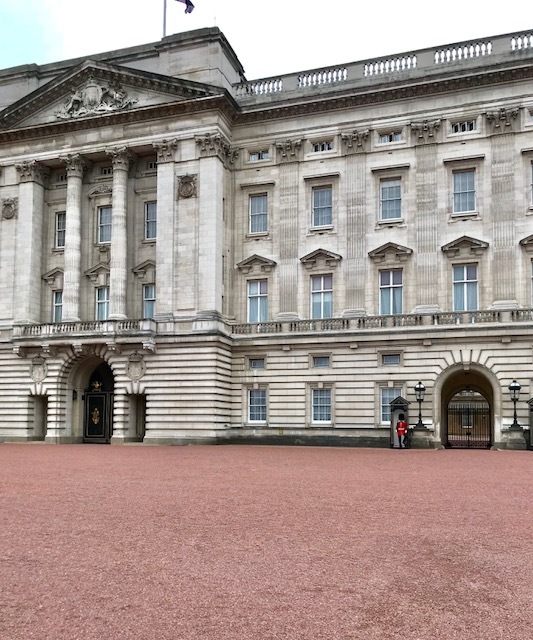 Our first afternoon in London, we made it a point to go see all of the main tourist-y attractions (which of course did my heart good because they included Buckingham Palace). 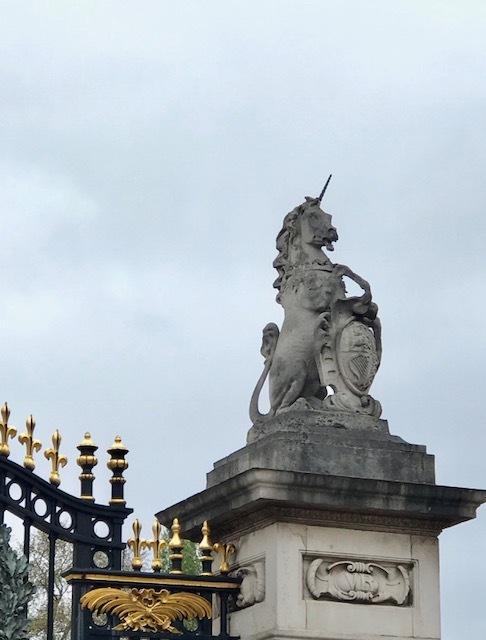 The front gates at Buckingham Palace - They include statuary of a Unicorn and a Lion from the Royal Seal. 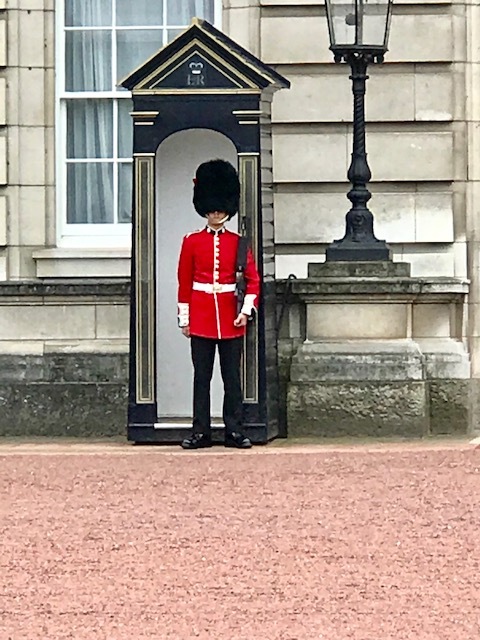 We didn't get to see the changing of the guard, but what trip to Buckingham Palace would be complete without a photo of a guard? (Love those uniforms). 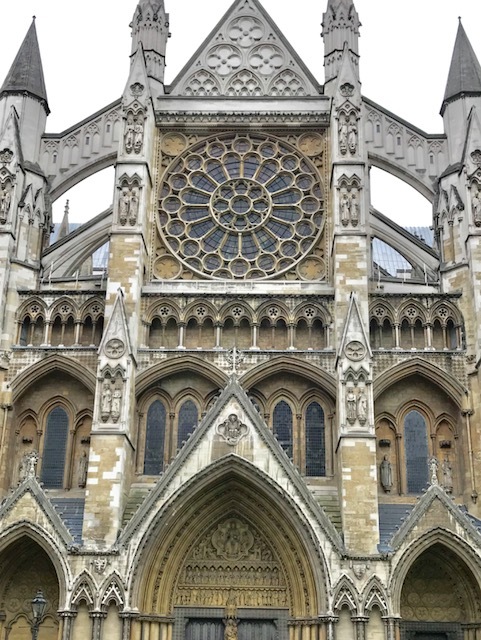 I LOVE the architecture in London! 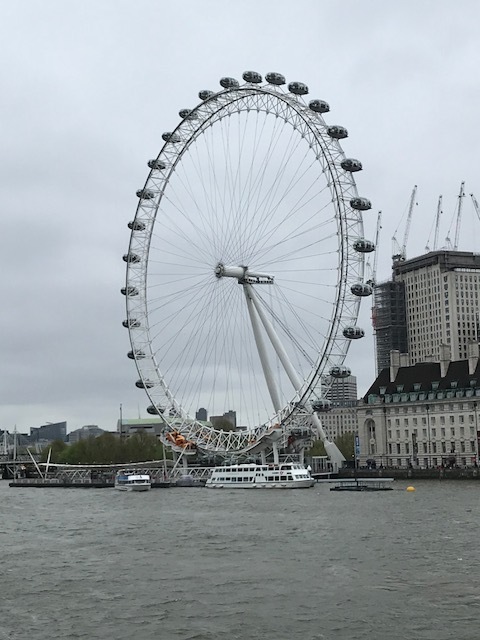 The London Eye...it was a cloudy and windy day, so the feris wheel wasn't running. 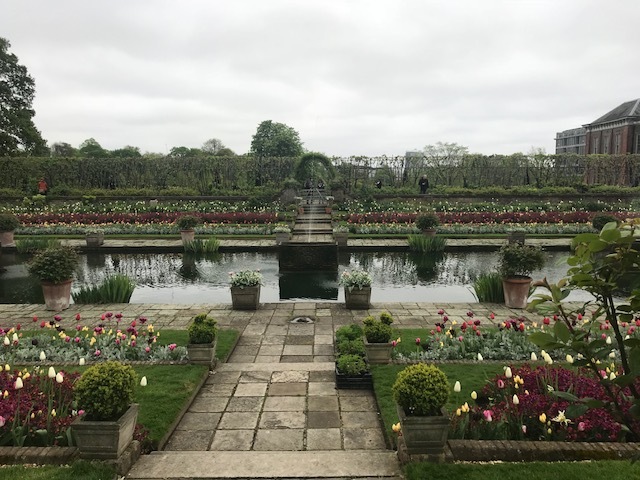 The gardens at Kensington Palace are gorgeous. The gardens with the public wing of the palace in the background. Then we walked through Kensington Gardens which border the palace. 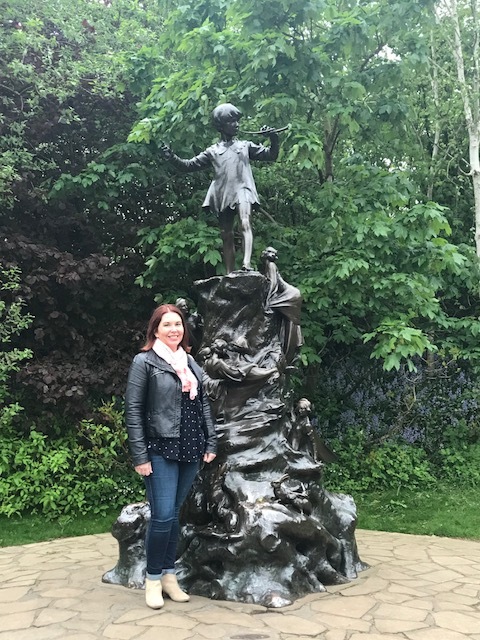 Not the best picture, but I am named after the Wendy in Peter Pan so I *had* to get a photo with the Peter Pan statue. 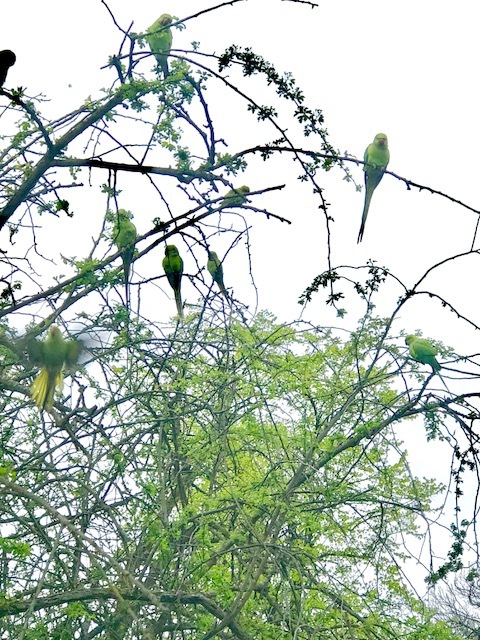 The most surprising thing we ran across in the gardens - parrots! 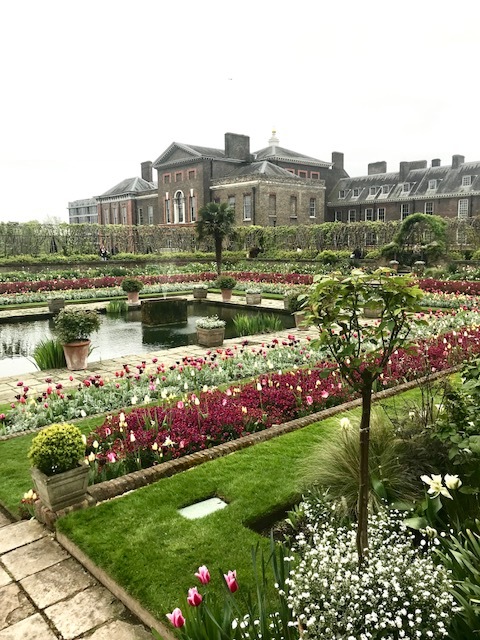 The next morning was rainy, so we decided to head back to Kensington Palace and take a tour. 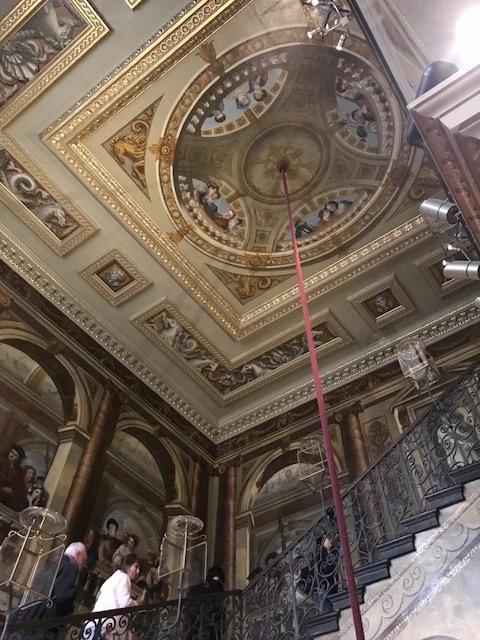 It was absolutely fascinating learning about all of the Royal Family members that have lived in this Palace. 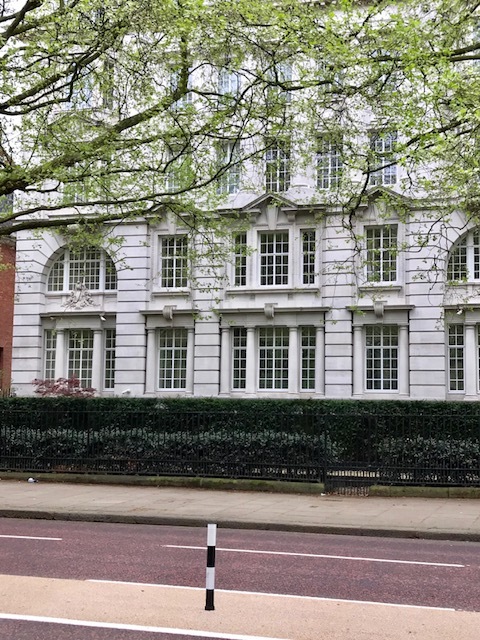 The Duke and Duchess of Cambridge (William and Kate) as well as The Duke and Duchess of Sussex (Harry and Meghan) currently live in apartments in the private portion of the Palace. 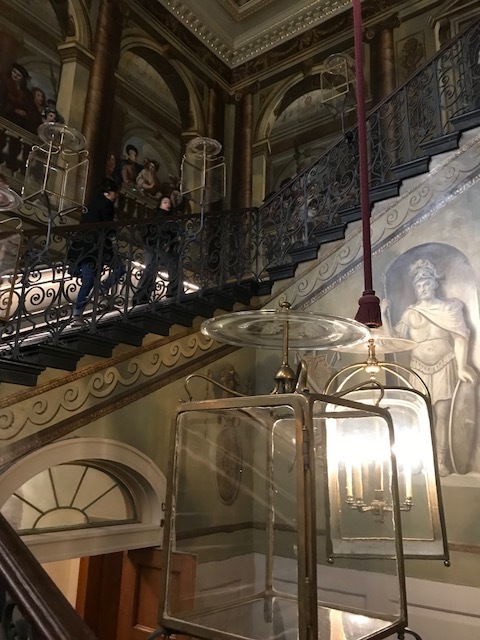 And did you know that Queen Victoria was actually born IN the palace? 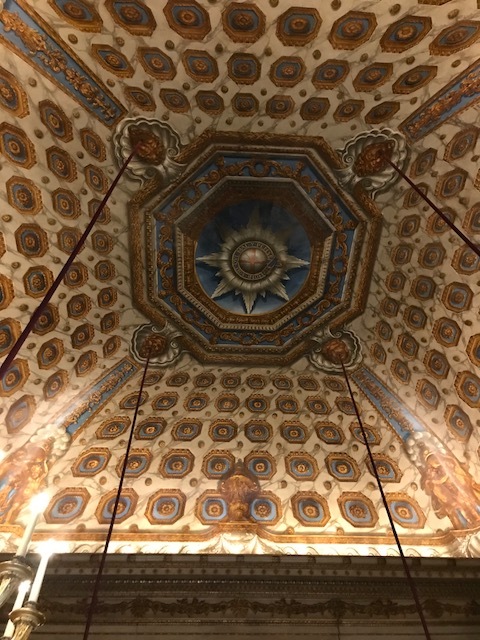 I was smitten with the ceilings. This ceiling is actually an optical illusion. It is flat at the top. 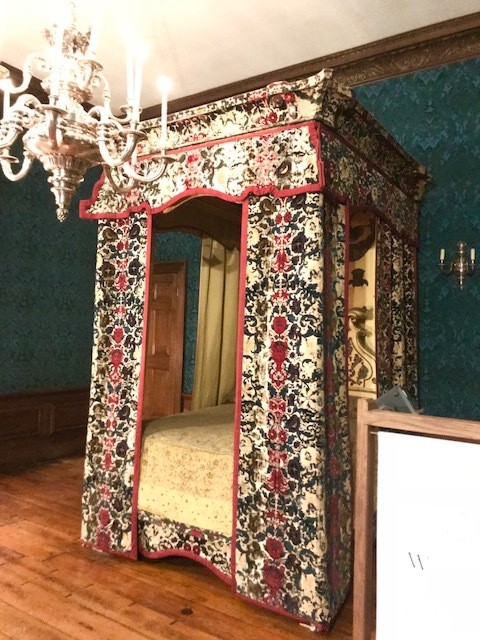 The bedchamber in the Queen's State Apartment - this bed is tiny! 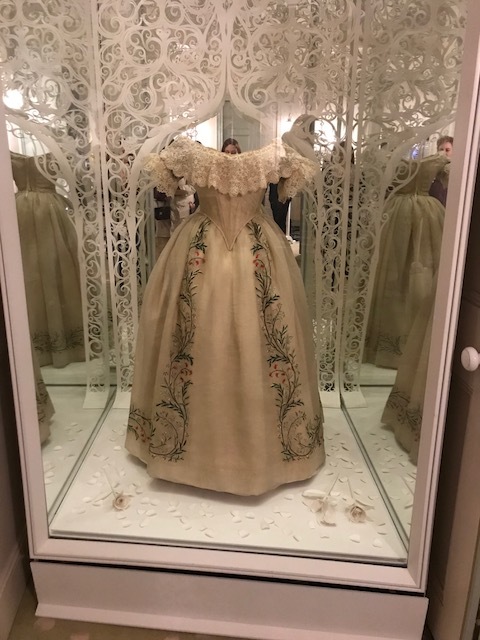 Queen Victoria's Wedding Gown. Her love story is beautiful! 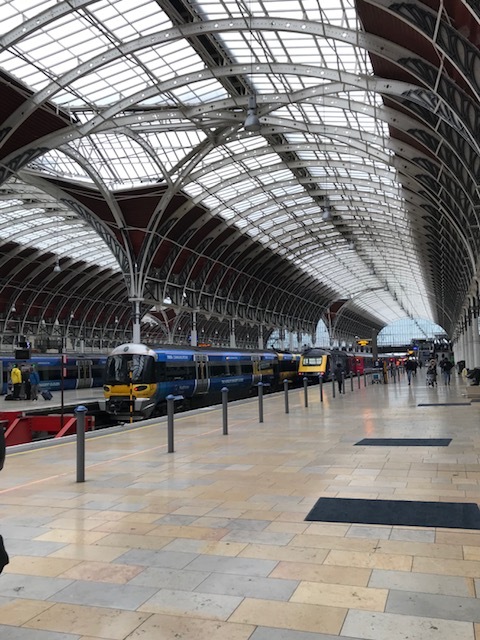 We stayed just blocks from Paddington Station. As I said in my previous post, we wanted to be someplace central, and we did a lot of walking, but it was nice to have the trains so close as well. Not to mention that the station itself is stunning! 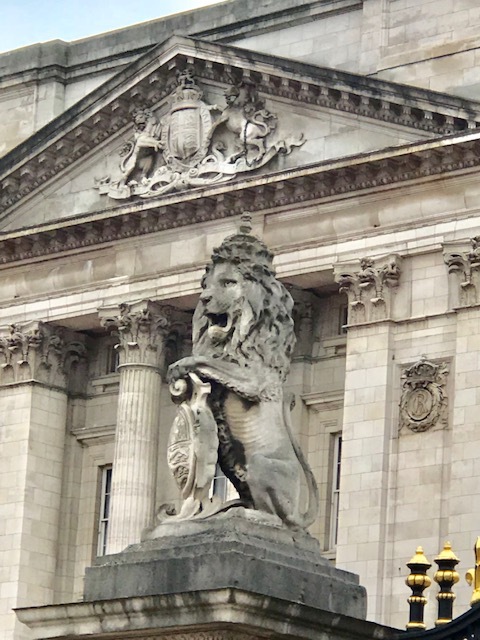 Join me for Part IV where I will share our day in Windsor!